Why do developers choose Sass? Why do you like Sass? Why do developers choose Less? Why do you like Less? What are the cons of using Sass? What are the cons of using Less? How much does Sass cost? What tools integrate with Sass? 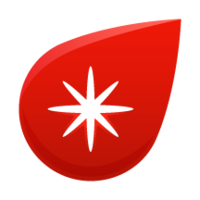 What are some alternatives to Sass, Less, and Compass? Absolutely fantastic, not only does it allow for modularity but it is armed with the most useful features like colour operations and nested styles to make you achive more by writing LESS. It was a little awkward building BS3 with LESS, and the rest of the site with SCSS, but it works. SCSS made building the UI elements (ink/flip buttons, img navs, etc) a breeze. It also drives the mobile menu open/close transitions - that would have been much too much with vanilla css. 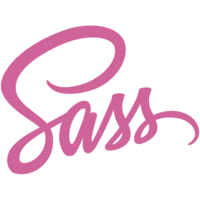 Sass helps us write better stylesheets. One major improvement over CSS that we use a lot is variables - it allows for much easier theming to quickly change brand colors for new instances of the xCoLab. When you realise that countless lines of CSS codes could be made countable. And off course, a wonderful and cool way to use the logic behind variables and nesting. Simply love it. Sass is used as a part of Woltlab Suite Core, which offers to submit/configure own styles via the injection of own Sass-CSS. So we exclusively rely on Sass for our CSS needs. love me some less. been less styling for around 3 years. makes working with bootstrap and responsive website a breeze. so much power in the language. Agile CSS is written in less. Customise the UIkit Front-End Framework, because of that is used to create the application CSS. I prefer SASS but is equivalent.